This movie follows Charles and Ruth who are a married couple. They are being haunted by the ghost of Charles' first wife named Elvira. They enlist the help of a psychic to try to get Elvira to rest in peace and leave them alone. 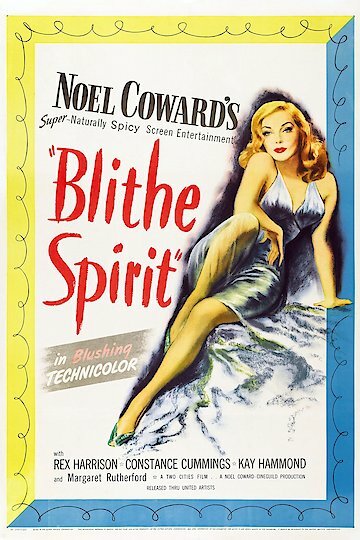 Blithe Spirit is currently available to watch and stream, buy on demand at Amazon, iTunes online.